Clara sits in her flat with all the lights on. Clara sits in her flat with just her reading lamp on. Clara walks about the flat with all the lights off. She tries with just the bathroom mirror and hob lights on. She remembers how the lonely statue under her window changed the way the wind sounds. The girl’s window is open, she has music on, a quick machine beat, her shadow streaking the walls, blinds, juddering about in there, she must be dancing. 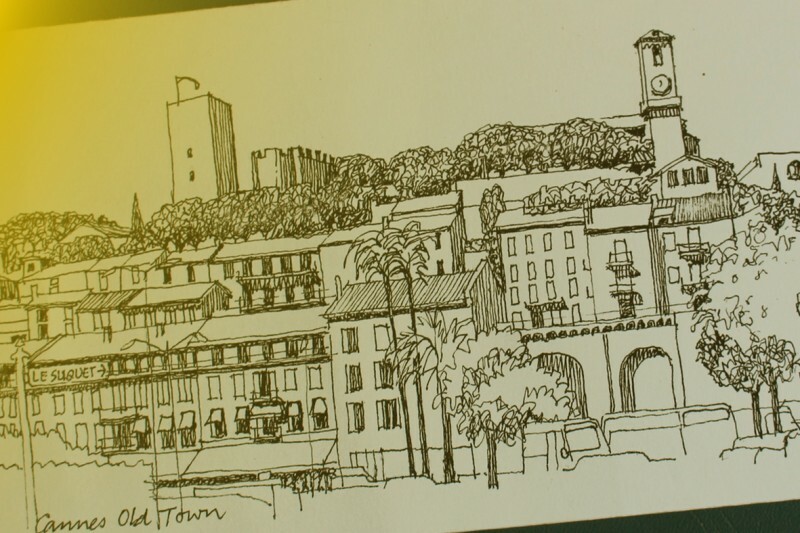 Clara rummages a shoebox for Alison’s last ink pen Christmas card, the old town in Cannes, no people, not even a seagull. A strange compacted thought: Alison’s fingernails, always coloured, buffed, shiny, intense accurate pleasure, a young admin officer at Vauxhall House and a secret weekend in Montpellier, Lyn’s breasts pushed against her white t-shirt, damp, dancing. Clara sets off to buy cigarettes from a shop she knows will be closed.